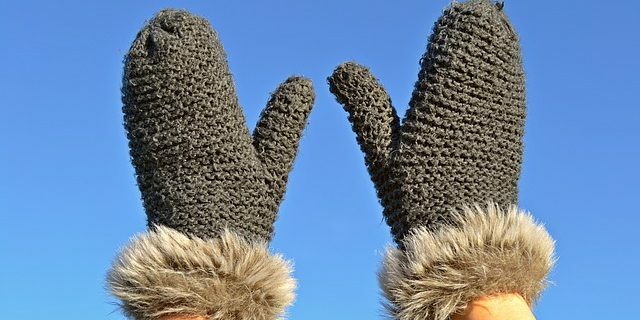 Easy Winter Glove and Hat Storage - Central Real Estate Inspections, INC. When you and your kids come inside from the snow, where do you put all your wet and snowy clothes? Hats and gloves should hang to dry, and you may struggle to find a suitable spot for these items. You can make a simple indoor drying line for your winter gear with a few eyehooks, some string, and a couple clothespins. Attach the eyehooks to the wall or whatever surface you are using for storage and then attach the string to the hooks. This creates a small clothesline and then, you can use clothespins to hang your hats, gloves, mittens, socks, and scarves after a day of playing in the snow. Once your items are dry, you can toss them in the laundry or they’ll be ready for another round outdoors. If you need to move your makeshift shelves, simply unscrew the eyehooks and attach them to the new surface. Adjusting the length is easy too—just add a longer string between the hooks!